Take a month, any month in 1981, in post-punk Christchurch, and you’ll hit a vein rich with original music, rising bands and talented fly-by-nighters, incubating in the city’s live rooms, and in particular, the Gladstone Hotel. Therein some of the nation’s best post-punk groups laid the foundations for memorable shows and a brace of stunning records. It was a key year in a musical golden era, where the birth of the enduring Christchurch indie label, Flying Nun Records, is just one element. 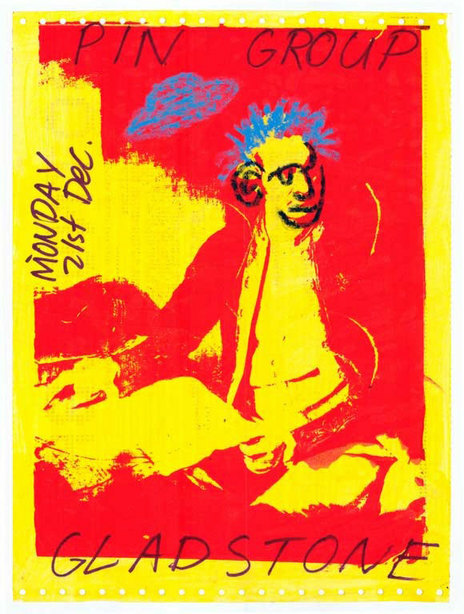 The new year in Christchurch began in much the same way as the previous year ended, with a handful of bands with their roots in the punk-friendly Mollett Street venue, now active in what was effectively its successor space, the DB Gladstone. That’s where you could find The Playthings, a Christchurch group with pre-punk roots, taking the stage for the first of two nights on January 9. The hippie punks were back a week later with The Gordons, who brought their huge steel sheets of sound, trancing beat and robotic bass to the party. Seasoned street-wise punks The Androidss, a third piece of the early puzzle, played five shows there in January, putting on a night with films at the Avenue Cinema on the 18th and four more nights at The Gladstone (January 28 to 31). 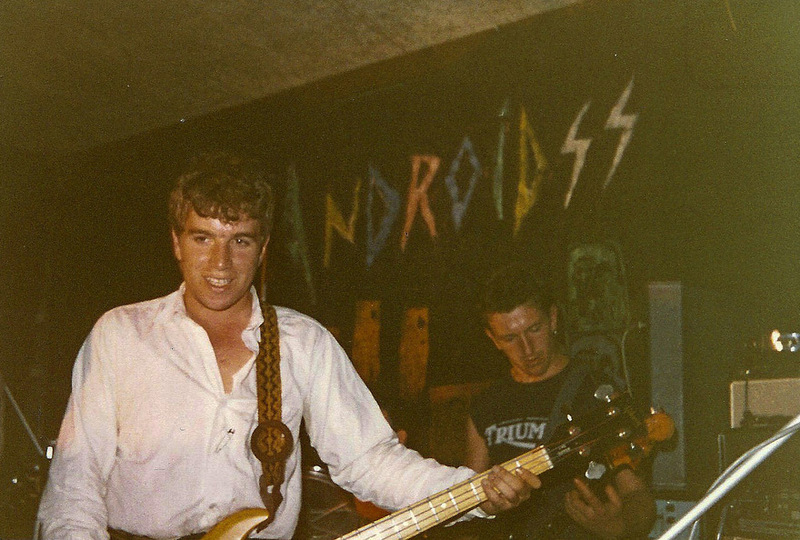 Active since mid-1979, The Androidss, who were resident in Auckland from March 1980 to June 1980, remained a big draw in their home town of Christchurch. They’d been back since October 1980 for a prolonged stay that stretched through to mid-March 1981. Christchurch punk historian Wade Churton referred to the raucous group in an extensive essay in the May 2002 issue of Mysterex as “coinciding with the surge by the public back to high-energy live rock bands”. “Their set included a rich, well-seasoned amalgam of ‘old’ and ‘new’ influences,” Churton continued. “There was The Beatles’ ‘Drive My Car’, David Bowie’s ‘The Jean Genie’, ‘Soul Love’ and his instrumental ‘Speed Of Life’, Brian Eno’s ‘The True Wheel’, The Monkees’ ‘Stepping Stone’, The Rolling Stones’ ‘Paint It Black’, Roxy Music’s ‘Virginia Plain’ plus inherited [Detroit] Hemorrhoids’ Iggy and Velvet Underground covers. Alongside the ‘oldies’ were a stack of fresh new wave hits and album tracks including ‘I Know But I Don’t Know’ (Blondie), ‘Neon Heart’ (Boomtown Rats), ‘She Does It Right’ (Dr. Feelgood), ‘Burst’ and ‘Motorcade’ (Magazine), and even more Iggy (‘I Wanna Be Your Dog’, ‘Neighbourhood Threat’, ‘The Passenger’, ‘Tonight’). Then there was the instrumental heavy trio, The Newtones, who local rock station 3ZM put on stage with the hard-touring Auckland guitar-pop group The Techtones on 9 January 1981, at QE II Park. 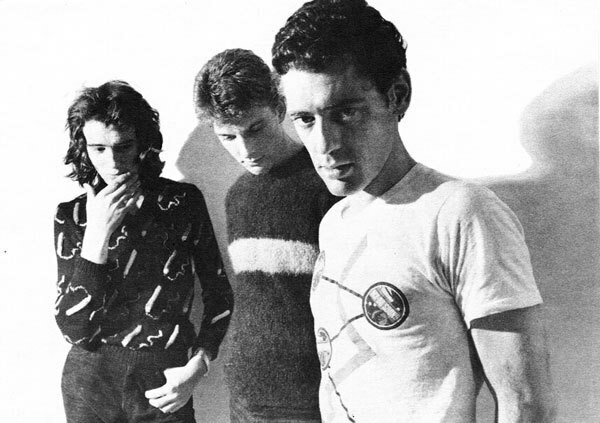 The Newtones were a freshly formed trio with Tony Peake (The Vandals, The Aliens, Street Of Flowers) and The Vauxhalls’ Mark Brooks joined by new drummer Graeme Van Der Colk. They recorded ‘Santa Anna’, ‘Christchurch Part 2’, ‘Paint The Town Red’ and ‘China’ at Nightshift for a pioneering city EP that month. By the end of the month, The Gladstone was presenting live music six nights a week with The Jellybabies and The Strand taking two early week slots and The Newtones headlining from Wednesday 20th to Saturday 24th. The dynamic served Christchurch post-punk music well by allowing new groups to emerge and gain confidence and stage time, either on multi-band bills or as supports for bigger touring or local groups with the best draws graduating to the busier end of the week. In February, The Androidss shifted across town to the larger Hillsborough on Curries Road, where they appeared 11 times, mostly with all-women garage rock group 25 Cents. The Playthings checked in there as well. On February 8th, The Newtones, The Volkswagens, 25 Cents and The Androidss pushed it out in daylight at Christchurch Arts Centre. 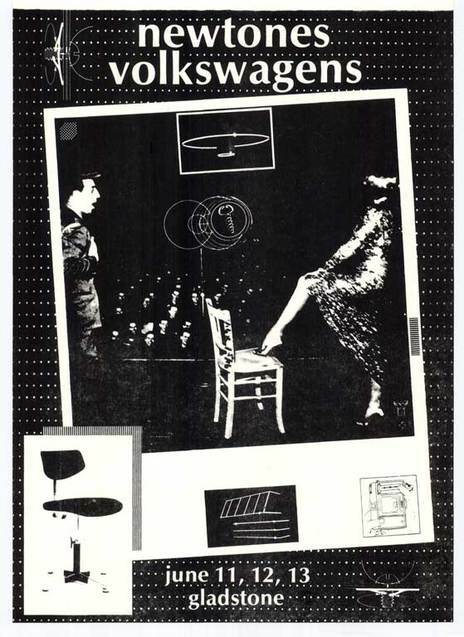 A second multi-band date there followed on the 14th featured The Newtones, Peter Stapleton and Steven Cogle’s soon-to-dissolve Victor Dimisich Band (although an EP was planned) and punk act System X. The Techtones returned to Christchurch for two three-night stands at The Gladstone, while the Christchurch Town Hall hosted UK stars The Police on 11 and 12 February. The Playthings remained active too, with a weekend at the Hillsborough. But the only real sign of the new that month was the young Ballon D’Essai at University of Canterbury’s Dri Horrors Stein. March brought more of the same with The Androidss going on six nights straight at The Gladstone, which also hosted The Newtones, The Playthings, The Gordons, Ballon D’Essai and The Volkswagens. Wade Churton deemed The Volkswagens the perfect support group who could “be relied upon to get the night started and not outshine the main act”. The only out-of-town act of note that month was Billy and the Blue Flames, a rockabilly act from Auckland. 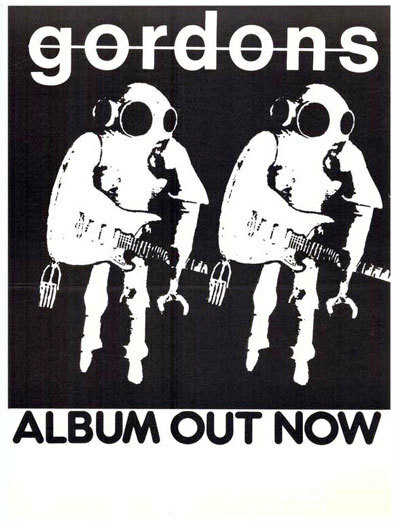 March yielded the rising scene’s first new records: The Gordons with the Future Shock EP, recorded at Harlequin Studios in Auckland in late 1980, and a joint EP by The And Band with Perfect Strangers. Of particular interest on that release is ‘Interstellar Gothic’, a psychedelic gem held over from And Band members George Henderson and Susan Ellis’ years in the transient Wellington drug/punk scene of the late 1970s and early 1980s. Auckland’s throbbing post-punk scene sent some prime acts south in April, with The Newmatics strutting their stuff early month at The Gladstone and The Screaming Meemees arriving for a four-night run mid-month at the same venue and at University of Canterbury. There were a lot of kids around in the late 1970s and early 1980s in New Zealand, especially in baby boomer suburbs. Garage bands proliferated, as they do in such conditions. It helped that the suburbs in Auckland and Christchurch were big on the English post-punk influence with plenty of recent immigrants from the old country. Punk had largely been and gone (for now) and its energy had fractured into strands of Mod, ska, the Factory Records influence, soul, funk, rockabilly and reggae. The cult of Mod barely took hold here, just a brief flash before and after the release of The Who’s filmed version of Quadrophenia. The Screaming Meemees emerged as that scene’s leading group on the back of wild fun early tracks like ‘Pointy Ears’ and ‘All Dressed Up’. ‘Can’t Take It’ was yet another of the group’s early recordings – a catchy and propulsive piano-led pop song that featured as the theme music for TV music video show Droppa Kulcha, which ran in 1981 and 1982. By the time The Screaming Meemees arrived, the song was available on a Ripper Records single paired with The Newmatics’ ‘Judas’ and had already reached No. 37 in the charts during a three week stay. To tempt Christchurch fans along to the Gladstone shows, free passes were offered if the single was purchased in local shops. Blam Blam Blam, the third prong of the Auckland assault, returned to Christchurch on the 19th (having first performed in the city in mid-December 1980) as support act for Split Enz at Christchurch Town Hall. The Auckland trio then linked up with The Newmatics and The Screaming Meemees for a Class of ’81 night at The Gladstone on the 20th alongside the only Christchurch band to make the Propeller Records compilation album of the same name, The Newtones (with ‘New Way’). The Screaming Meemees played two more Gladstone nights with former Vacuum guitarist and singer Bill Direen’s latest group, and 25 Cents, and a second University of Canterbury show. Direen already had the Six Impossible Things 7-inch EP out, and he followed that record up with Soloman’s Ball, recorded with Allen Meek and Malcolm Grant. Live in the studio tracks from 1981 also appear on 1982’s High Thirties Piano. The last band on at The Gladstone in April was The Clean. Having struggled to gain a popular following in their home city of Dunedin, they found one in Christchurch and it finally gave the trio the chance to get a record out. In the audience for those early shows was Roger Shepherd, manager of one of the city’s Record Factory shops, who had his eye on them and was keen to capture the rising wave on his new independent record label, Flying Nun Records. The Gladstone calendar was sprinkled with the old and the new in May and June. The Androidss were back. The Newtones and The Playthings returned as did The Volkswagens and 25 Cents. The Gordons were in town again for three packed out nights. Touring bands included The Elevators from Dunedin (with Christine Voice and Martin Bull) and The Techtones. More noticeable was the spread of fresh talent. The doomy, propulsive Pin Group, featuring Peter Stapleton, Roy Montgomery and Ross Humphries, had a run of early week shows in May at The Gladstone with The Volkswagens and 25 Cents. Desmond Brice, late of The Pin Group, found The Volkswagens especially appealing. “Jon Segovia [the group’s guitarist] is only now beginning to get what he has deserved all along. He’s leading a fine and memorable band and he’s top of the bill at The Gladstone. “Best of all, he’s recruited Liz Wylie to share the responsibilities of lead vocalist. The bracket is now divided into half a dozen songs sung by Segovia with an equal number by the inimitable Ms Wylie. This woman is the ghost of all four Shangri-Las and when she and Segovia croon ‘Baby, I Love You’, critical faculties disintegrate,” Brice wrote in Rip It Up. In early June, 25 Cents, The Surge and Art Decade, who recorded but didn’t release an album for local budget label Music World, carved the smoky air. Other acts playing included new-in-town trio The Pedestrians from Napier (Kevin Stone, Stuart McLachlan and Peter Wood), along with Mainly Spaniards and The Droogs, who introduced their respective sounds to post-punk audiences. A new pair of booking agents, Rose Stapleton and Laura Mitchell, were on the Gladstone door handing out free passes to the pub’s early week shows. A third essential Christchurch record arrived that month in an embossed sleeve. The Newtones’ self-titled EP single debuted at No.13 in the national charts before dropping out completely the next week. New student radio station, Radio U, put on its first benefit concert at the large Polytech Hall on Sunday 14 June, featuring Ballon D’Essai, Mainly Spaniards, Exploding Telephone Booths, 1288, The Droogs, Drowning Is Easy and Japanese horror movies. “Baloon [sic] D’Essai have come a long way from their early gigs,” Russell Brown wrote in In Touch. “They play better and each component sound has a purpose and place rather than being idle noise. The Clean were back in the southern capital in early July 1981, for Gladstone shows with The Pin Group and a Christchurch Town Hall appearance on the 5th with The Pedestrians as part of 3ZM’s Sunday’s Kool series. The following day, The Clean begin the first of two recording sessions at Nightshift to capture ‘Tally Ho!’, their debut single for Flying Nun. Two days on, they were back at The Gladstone, where they taped a live version of ‘Platypus’ for the flipside. The Cure played at Christchurch Town Hall on the 6th, during their second New Zealand tour. It was business as usual at The Gladstone, which was booked solid that month. Mainly Spaniards played three times, The Pedestrians twice and The Volkswagens once, in support of The Neighbours. New groups The Droogs, Desmond Brice’s Hey Clint! and Drowning Is Easy also featured. Brice wrote up The Pedestrians’ show for Rip It Up. “The Pedestrians are much more than the average Christchurch three-piece (of which there is a plague at the time of writing). Musically, they are hard to fault – combining, as they do, the flash of The Solatudes and the exuberance of The Surge or Mainly Spaniards and adding a depth of perception not to be discerned in the works of any of the above except the last. “In specific terms, Pedestrians’ music radiates outwards from Kevin Stone’s punchy bass lines. Drums and vocals follow naturally but then come the guitar parts. These flow from peerless rhythm playing to strikingly melodic and, for the most part, improvised lead and back again. 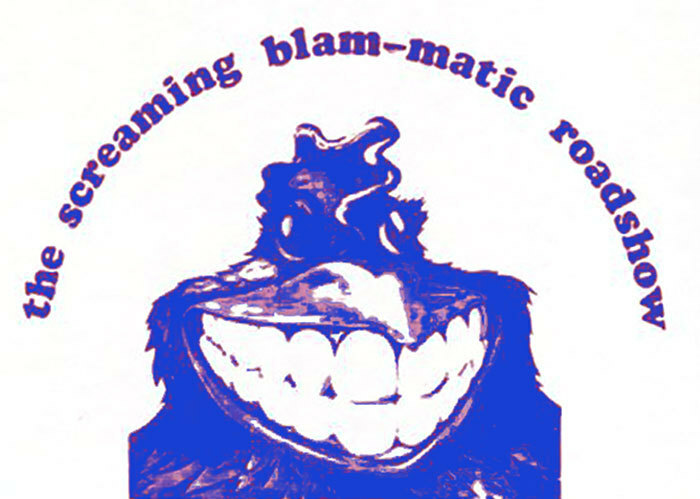 The Screaming Blam-matic Roadshow pulled together The Newmatics, The Screaming Meemees and Blam Blam Blam and hit town as part of a nationwide tour for nights at University of Canterbury and nearby Lincoln University, followed by five dates at The Gladstone. After a busy stint in Melbourne, Aranui Tavern perennials The Newz returned to their old stomping ground at 49 Pages Road, with new punk act Channel 4 in support. The group’s guitarist was George Frith and the two future pop stars Eugene mentions are Dave Gent (bass) and Michael “Harry” Harallambi (drums). The fleeting group managed at least one Nightshift-recorded track, ‘You Were The One’, a lost street-rocker that snaps out sharp and urgent, tough and tuneful. The song is a highlight on the 1984 Christchurch cassette collection, Accident Compilation. Channel 4 then doubled up with two nights at the Imperial on the corner of Barbadoes and St Asaph Streets. A plan was afoot to collect up many of the groups who made The Gladstone their home that year for an album in October. The mooted line-up included The Newtones, The Androidss, The Gordons, The Pin Group, The Pedestrians, The Playthings, The Volkswagens and 25 Cents, and while the record never eventuated, all the groups bar The Volkswagens (who made it into the studio) released singles. Roger Shepherd was also busy with a single pencilled in from The Clean. All the usual suspects set up their gear on The Gladstone stage in August, including a new look Playthings, who featured at that month’s Sunday’s Kool show at the Christchurch Town Hall. The group had an independent single out – ‘Coloured’ b/w ‘Sit Down - Stand Up’, recorded live at The Gladstone in May. 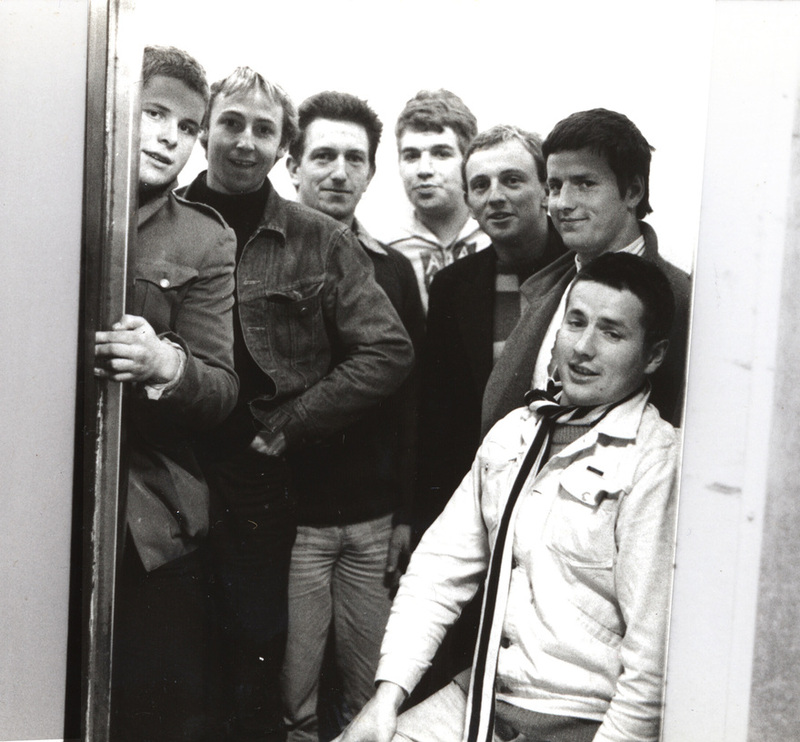 The Clean’s popularity in Christchurch was highlighted yet again when they paired up with Mainly Spaniards and Bill Direen for Gladstone shows that drew in excess of 500 fans. Also up from the deep south were “Dunedin’s Midnight Runners,” the horn-driven student soul band Netherworld Dancing Toys. Banging home the fact that the post-punk explosion was a nationwide phenomenon (and Christchurch a vital live market and stimulus), arty Wellington trio Naked Spots Dance showcased their sound with three early-week Gladstone nights in late August. The Newtones, with ex-Vauxhalls drummer Martin Archbold replacing Graeme Van Der Colk, closed out the month there. It’s almost as if post-punk Christchurch needed to pause and catch its breath in September. 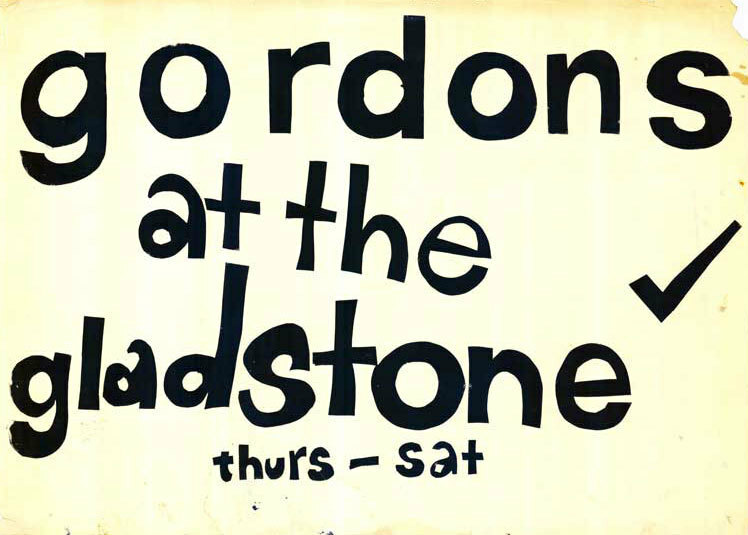 That didn’t stop old reliables The Gordons checking in at Christchurch Arts Centre and The Gladstone on the 2nd. Elvis-obsessed rocker Ritchie Venus, backed by the post-punk community derived Blue Beetles and paired with 25 Cents, preceded The Playthings (with Paul Kean joining for Janine Saundercock) and new punks Desperate Measures at The Gladstone mid-month. The following night English-based rockabilly act The Stray Cats played two shows at Christchurch Town Hall. Three more interesting acts from Auckland – Danse Macabre, Herco Pilots and Alms For Children – played The Gladstone on September 3rd, 4th, and 5th. Herco Pilots already had their Wonderbook Of Things To Do EP out on REM Records with a new double single, Jumping At? recorded and due in October. On the same label, Alms For Children placed their Alms Not Arms 7-inch in the lower reaches of the pop chart in August 1981. It also marked Alms For Children drummer Daron Johns's return home after following The Gordons north. Bringing a different sound and slant from Auckland was Mod-ish quartet Penknife Glides, who performed on the afternoon of the 16th at University of Canterbury, followed by three nights at The Gladstone. Their early sound had already shifted as the Nervous EP, a No. 30 chart hit for them that month, shows. The Clean visited again in early October, this time with The Verlaines in tow, for four shows at The Gladstone on the back of their Top 20 single ‘Tally Ho!’. Emerging trio The Terraces played an early show at University of Canterbury on the 9th. 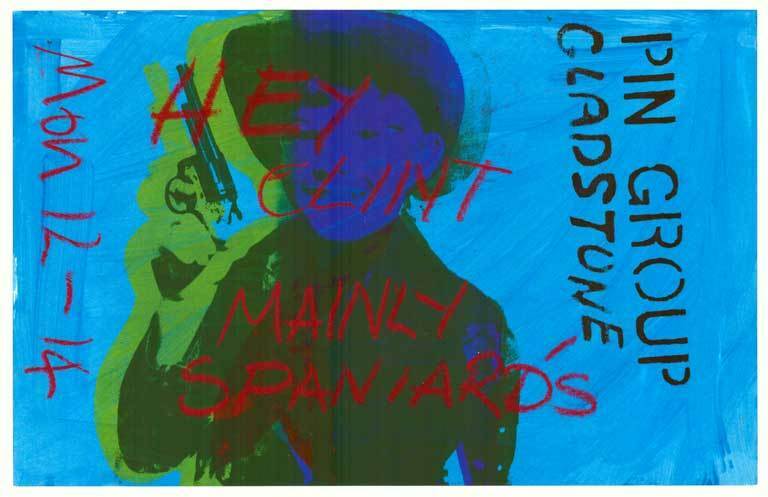 The Newtones, The Pin Group, Mainly Spaniards and Hey Clint! all played mid-month slots at The Gladstone. With a new album, Practical Jokers, sitting at No. 2 in the Album Chart, The Swingers returned to Christchurch. The hard-touring trio were regular visitors to the city in 1979 and 1980, arriving first in August 1979 for a featured spot at 3ZM Rocks The Avon, before settling in for the first of two runs at The Hillsborough. From there on out, The Swingers visited whenever they could, racking up many successful runs at Christchurch’s best live spots. They were last in town in late June 1980 at the Hillsborough, just before departing for Australia. While the early sets were crammed with dive-bombing vocals, cracked Phil Judd guitar chatter and menacing back beat from his punk stooges Bones and Buster, the essential swinging guitar-pop of New Zealand Top 20 hit, ‘One Good Reason’ b/w ‘All Over Town’, and the massive No.1 Australasian hit ‘Counting The Beat’ from March 1981 were behind them. The Swingers had however still been in the pop charts as recently as September 1981 with ‘One Track Mind’. Keeping them company at their University of Canterbury, Hillsborough and Christchurch Town Hall shows – as they had done all tour – was Blam Blam Blam, who had their own big hit with ‘There Is No Depression In New Zealand’ on Propeller Records in August 1981. 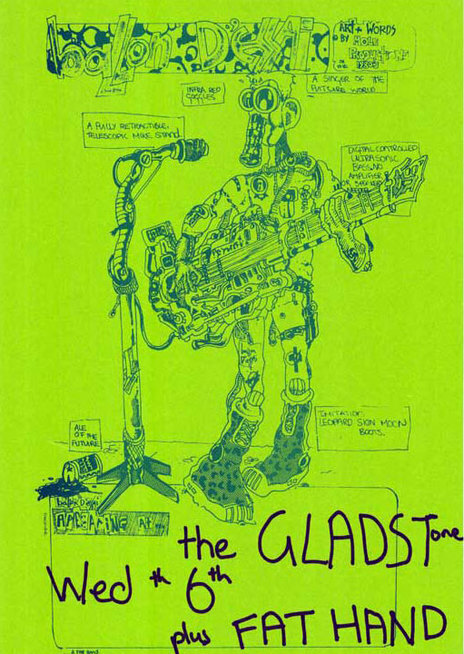 Local fans packed out The Gladstone later in the month for The Androidss – with The Newtones, The Playthings and Ritchie Venus and The Blue Beetles in support – ahead of their imminent disbandment, as Androidss drummer Eric Marsden prepared to go to prison for drug dealing. 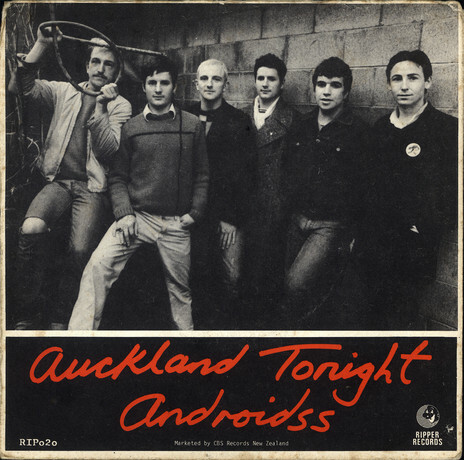 In September 1981, The Androidss recorded two original songs, ‘Getting Jumpy’ and ‘Auckland Tonight’ at Harlequin Studios in Auckland with Doug Hood and Steve Kennedy, with a video for ‘Getting Jumpy’ directed by TVNZ’s Andy Shaw. Wade Churton has the story of the group’s Christchurch return, again, from his extensive Mysterex piece. “As part of the single’s promotion, the entire crew were flown back to Christchurch for what was dubbed with gallows-humour irony, the Not Guilty tour,” he wrote. “On Tuesday 20th October, The Androidss gave their last media interview to David Swift of the Christchurch Press. Published in the Thursday edition, David Swift’s Androidss make a record article had an unmistakably downbeat cast. “In addition to the new single, the band’s problems were mentioned at length, including the looming court case. The official word from the band was that they did not intend to split, even if a member went to prison, and that no replacement was to be sought. This worst-case scenario had obviously been mulled over with some gravity, and the publicly mooted solution (a possible reshuffle of the remaining five members) had an ominously hollow ring to it. The article mentioned that the current visit was to be a one-off, and that the band was to return to Auckland directly after the Christchurch engagements. “It was immediately apparent from the tone of the piece that the band were tense and gravely concerned about their future. On the day, the band had also been disturbed on a very practical level. Hinted at during the article, but not actually spelled out, was an incident on their way into the Press building when they had been chased and physically attacked by two Mongrel Mob members. The staff was so concerned for the band’s safety that after the interview, The Androidss were surreptitiously ushered out through the rear door. “Droppa Kulcha ran the video of ‘Auckland Tonight’ on Wednesday 21st October, and adult rock show Radio With Pictures aired it the following Sunday. 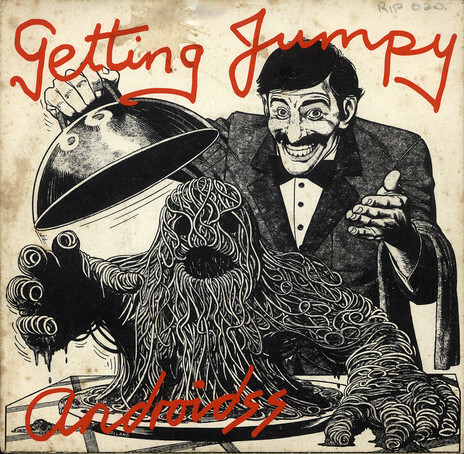 Released on Ripper Records, ‘Getting Jumpy’ b/w ‘Auckland Tonight’ made No.19 in the pop charts in November 1981 during a four-week stay. I bet the sweat was still dripping from the pub walls when Wellington’s The Mockers arrived at The Gladstone to end the month for shows, with Smelly Feet on first. After the performances, vocalist Andrew Fagan collapsed with glandular fever, causing The Mockers to miss their support slot with the touring Echo and The Bunnymen. There was a long-overdue new gig lining up for live groups in November: the Star and Garter over at 332 Oxford Terrace. The Terraces, The Newtones, The Playthings, Mainly Spaniards and Desperate Measures all checked in there. Meanwhile, punk-ish Auckland ska band the Instigators, Dunedin’s Sneaky Feelings and The Verlaines, The Clients and Desperate Measures knocked out the songs at The Gladstone. Blam Blam Blam didn’t seem able to stay away from their Southern power base with shows at Paparua Prison, Hillsborough and an opening slot before the touring Ian Dury and The Blockheads at Christchurch Town Hall on 29 November. The rumour columns of the nation’s monthly music media were flush with news of upcoming independent record releases in November. Successful English compiler Nigel Burnham (Hicks From The Sticks) requested a track from The Playthings for a compilation. The Playthings were also recording a second single, ‘Birds Eye View’ b/w ‘Dumb’ and ‘Pure Frost’. Mainly Spaniards put three tracks down at Nightshift – ‘All Night’, ‘Questions’ and ‘That’s What Friends Are For’, although they were unhappy with the result and re-recorded two of them again the following year. The Pin Group planned to record ‘The Power’ and ‘Flies On The Wall’ at EMI Studios in Wellington in December for a five-song EP and their third record. Of the two compositions only ‘The Power’ was recorded. The trio already had two records out through Flying Nun, both recorded at Nightshift. ‘Ambivalence’ b/w ‘Columbia’ was a surprise Top 40 hit in early October and ‘Coat’ b/w ‘Jim’ in late November. The Gordons were reported to be recording an LP at Harlequin Studios in Auckland, while in Christchurch, Campbell McLay was shepherding a compilation of real and imagined groups to be called 20 Krypton Hits through Nightshift Studios. The Pedestrians had five songs recorded, of which ‘Sunday Papers’ was mooted as a single. They were also looking for a new drummer, after Peter Wood’s departure. In December The Screaming Meemees were back in town for a five night run at The Gladstone with Ballon D’Essai. The Auckland quartet had two massive hits since they were last in Christchurch. ‘See Me Go’ b/w ‘Til I Die’ topped the singles chart in August 1981, during a 13-week stay. ‘Sunday Boys’ – with its infectious 1960s strum and Kinks-ish observational feel (“See them, see them in the Strand, at least the places they used to stand”) – was in the Top 20, where it peaked at No.11. On the b-side was ‘At At’, which hinted at the Meemees’ powerful live attack. Blam Blam Blam returned on the 6th for an outdoor concert called Heatrave, and for dates at University of Canterbury with Mainly Spaniards. Punk rock was well and truly back and picking up steam with Desperate Measures, The Painkillers and Blind Rage playing Harwood Hall on the 7th. The Painkillers would soon jump the Tasman and release a rare, seldom-seen single. Over the next three nights, Desperate Measures brought the noise at the Star and Garter with Sheer Fanatics. It seems Auckland’s best just couldn’t stay away from Christchurch in 1981, with Danse Macabre and Penknife Glides back for nights at Hillsborough and the Star and Garter on the Positive Reaction tour. Danse Macabre had a huge hit with the Between The Lines EP on Reaction Records that month. 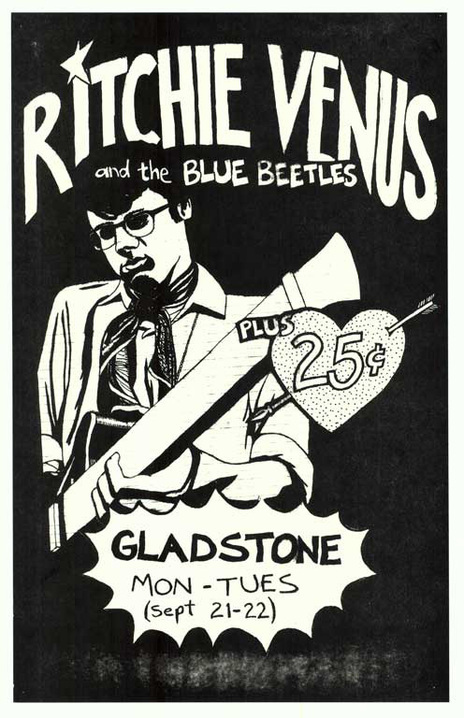 The Instigators proved just as popular with four nights at The Gladstone, which also hosted Netherworld Dancing Toys, The Chills on their first Christchurch headline visit, Ritchie Venus and The Blue Beetles and The Pin Group. What could well be the best is saved for last. The Gordons arrived home with a brilliant, teeth-jarring independent album, the city’s first. The intense trio appeared early in December at the Hillsborough and mid-month at The Gladstone, before seeing in the New Year there with The Playthings. The two groups who kicked off the landmark year also ended it.